Thailand is one of the most visited countries in the world, and it is easy to see why. With the north being the cultural centre, and the surrounding islands representing paradise for backpackers, Thailand experiences millions of tourists every year. Whether you’re looking for a shopping trip of a lifetime in Bangkok, or a relaxing break on the island of Koh Phi Phi, Thailand has it all, however if it is your first time visiting the country, there are some things you’ll want to take note of. Let’s take a look at this year’s top travelling trips for Thailand. Flights from Manila to Thailand take around 3 hours and 30 minutes. Too many holidaymakers pay over the odds for their flight, simply because they book them at the wrong place and at the wrong time. This summer, be sure to book in advance and save yourself some money in the long run! You might think that sun cream would be an obvious item to take to Thailand, and you would be right – however where you buy it is also crucial. The major airports in Thailand have very strict rules about what measurements of sun cream (and other fluids) you can bring in your hand luggage, compared to the smaller island airports where regulations are more relaxed. For example, you could buy sun cream at a small domestic island airport and keep it as hand luggage, however the same amount might not be allowed in your hand luggage at a major airport. Many tourists have complained about spending lots of money in duty free on liquids such as sun cream, only to find that they can’t take it on to their connecting flight in their hand luggage. If you main suitcase as already boarded the aircraft, then you’re going to have to give up your purchase to the inspection authorities. To avoid such dismay, buy sun cream in small amounts. It is better to head to the shops every other day for a new bottle instead of losing your collection at the next airport. 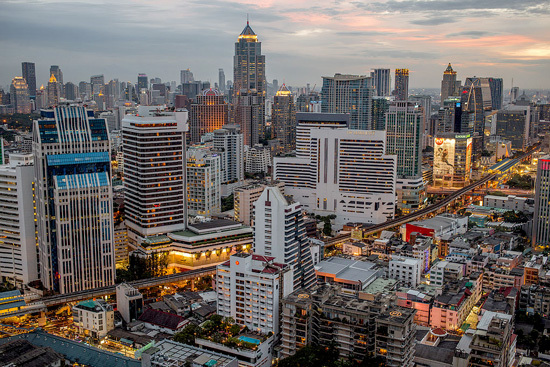 As most people fly direct to Bangkok, be sure to get into a taxi cab with a meter when you get out of the airport terminal. The drivers without meters basically have the freedom to charge you whatever you like, and usually will if they see you’re a tourist. 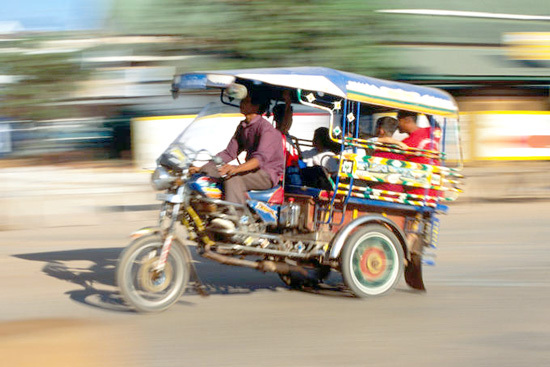 TukTuks are also a good option, as for the lack of comfort you can usually barter them down to a more reasonable price. One thing the islands around Thailand are known for, as well as some major shopping districts in the city, is fake clothes. From shoes to trainers, t-shirts to electronic equipment, fake goods can be found everywhere, and the government has found it hard to contain the growing number of markets due to the ever-increasing attraction to tourists. Buying fake goods won’t get you in trouble in Thailand, however it is recommended that you don’t openly flaunt your purchases at the airports, as customs have the right to take them from you. For example, turning up to your check-in terminal with the latest trainers, designer glasses and a luxury handbag will certainly grab someone’s attention, so keep your new purchases to yourself and leave them in your suitcase.